Help convince a Houston-based oil company to leave our threatened polar bears alone. America’s threatened polar bears den along its coast. The bears use its increasingly rare sea ice to hunt.1 And, soon, a Texas-based oil company could ruin this special place. Construction could leave polar bear cubs to die. New drilling increases the risk of toxic oil spills in this pristine place. Oil drilling fuels climate change that’s driving polar bears to extinction. It’s time for companies like Hillcorp to stop being a part of the problem — and start looking out for the health of the environment we all need to survive. Your signature today will help turn the spotlight on Hillcorp’s plans in Alaska and let the company, the media and our political leaders know that the public opposes plans to drill in this sensitive and remote place. With enough public support, we believe we can protect this special place — and the polar bears that live here. Please add your name now. 1. Miyoko Sakashita, “Trump ramps up Arctic drilling leases where an oil spill would be impossible to contain or clean up,” The Hill, April 30, 2018. 2. Darryl Fears, “The Trump administration just approved a plan to drill for oil in Alaska’s federal waters. It’s a major first,” The Washington Post, October 24, 2018. 3. “Hilcorp Alaska LLC: About the Liberty Project,” U.S. Bureau of Ocean Energy Management Alaska OCS Office website, retrieved online November 6, 2018. 4. “Arctic offshore production wells approved off Alaska’s coast,” The Associated Press, October 24, 2018. 5. 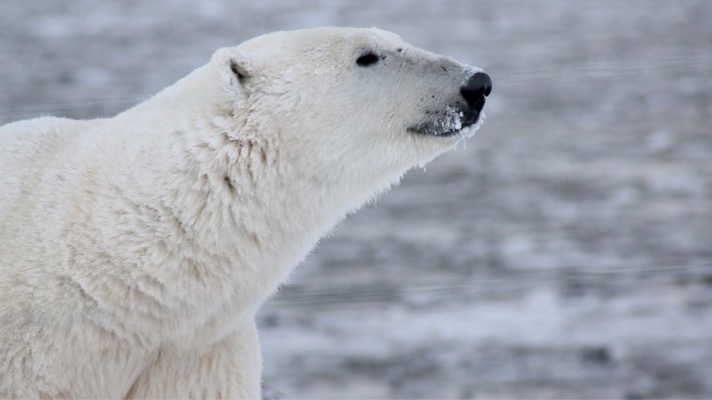 “Polar bears and oil developments,” IUCN Polar Bear Specialist Group (PBSG) website, published January 25, 2009 and retrieved online November 6, 2018. 6. Andrew Nikiforuk, “Why We Pretend to Clean Up Oil Spills,” Smithsonian.com, July 12, 2016. 7. Darryl Fears, “The Trump administration just approved a plan to drill for oil in Alaska’s federal waters. It’s a major first,” The Washington Post, October 24, 2018. 8. Stephen Leahy, “Polar Bears Really Are Starving Because of Global Warming, Study Shows,” National Geographic, February 2018. 9. Darryl Fears, “The Trump administration just approved a plan to drill for oil in Alaska’s federal waters. It’s a major first,” The Washington Post, October 24, 2018. 10. Umair Irfan, “Report: we have just 12 years to limit devastating global warming,” Vox, October 8, 2018. 11. “Mammals cannot evolve fast enough to escape current extinction crisis,” Science Daily, October 15, 2018.